The winter was particularly mild with precipitation higher than usual in the early spring. The balmy weather after Easter boosted vegetation, with flowering taking place in early June (in line with the average for the last 30 years) under more favorable climatic conditions than in 2014. June and July were warm months, well-suited for vine growth. What followed was a drought period, typical of the terroir and geographical area, which slowed and even blocked the vegetative cycle. The result was a decrease in an already lower than average potential yield for the most vulnerable soils. The high temperatures (more than 40° C in early July!) were accompanied by episodic storms, sometimes including hail, especially in the area of ​​Dambach-la-Ville. The mid-August rains came just in time. The vines reacted positively: growth resumed promptly and maturation accelerated. By the end of August, the vines were in perfect health. Acidity levels are lower in 2015 than in other years. Malic acid levels were diminished by high temperatures, with tartaric acid concentrations particularly high. Fortunately, contrary to the 2003 vintage, the heat did not have any negative effects on the aromatic composition of the grapes. The weather conditions at the beginning of the grape harvest were ideal, as was grape health! 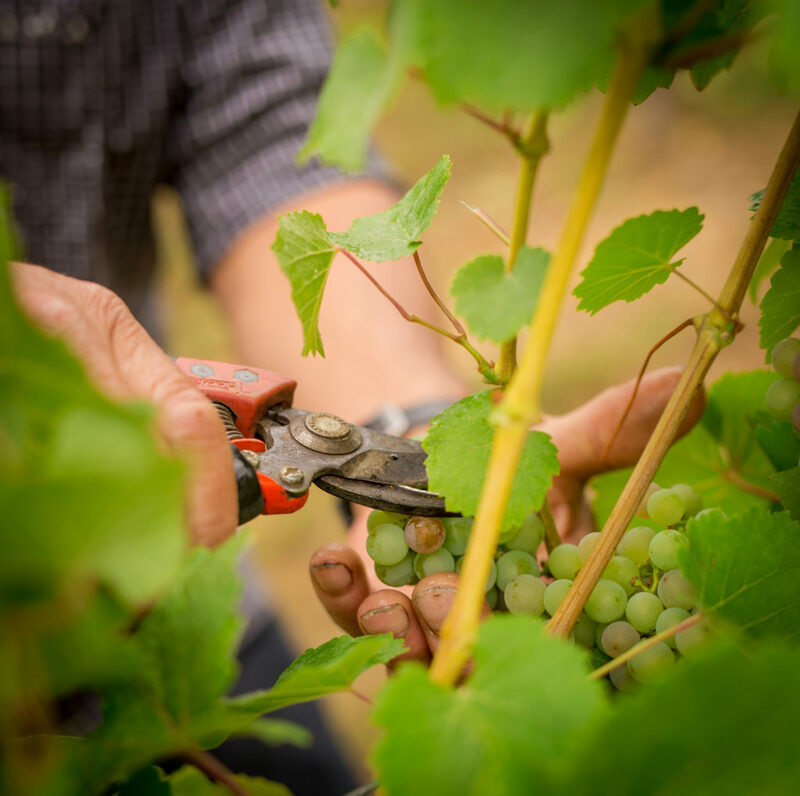 The sunny days and the colder nights helped preserve the grapes’ freshness, as the important challenge this year was managing and maintening acidity levels. 2015 demanded strong expertize in finding the precise balance between alcohol, residual sugars, and acid levels. AOC Crémant d’Alsace: September 2. AOC Alsace: September 14 for all grape varieties. AOC Alsace Grands Crus: September 14 for all vineyards and all grape varieties (with some exceptions as requested by local management). For the Late Harvest and Selection de Grains Nobles awards: October 2.